Environment and sustainability. People investing in the project will get their money back with interest and help cut emissions by 17,400 kg of CO2. The Sant Agustí community centre will be the first municipal building to generate and use its own energy with solar panelling funded directly through investment by citizens. The project seeks to promote an active role among the population in the evolution towards a new energy model which is more sustainable. The solar installation will generate 38,880 kWh, equivalent to the power needed to supply 17 households, to be used for self-consumption by the building itself. This will also help cut greenhouse-gas emissions with an annual saving of 14,700 kg of CO2. The goal is to raise the 105,000 euros needed to install the solar panelling through investment by citizens, who would get their money back with interest of 0.95% per year, in six-monthly payments over five years. The period for people to contribute (in amounts between 50 and 3,000 euros) runs from today until 22 June. 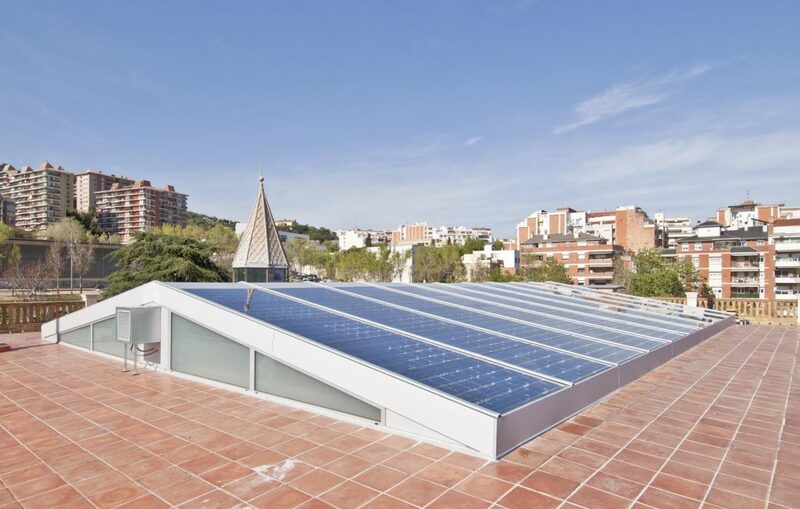 Full information is available on the ‘Comparteix el sol’ campaign website, which forms part of the programme to promote the generation of solar energy in Barcelona by increasing renewable energy installations in public and private spaces and rooftops in the city.